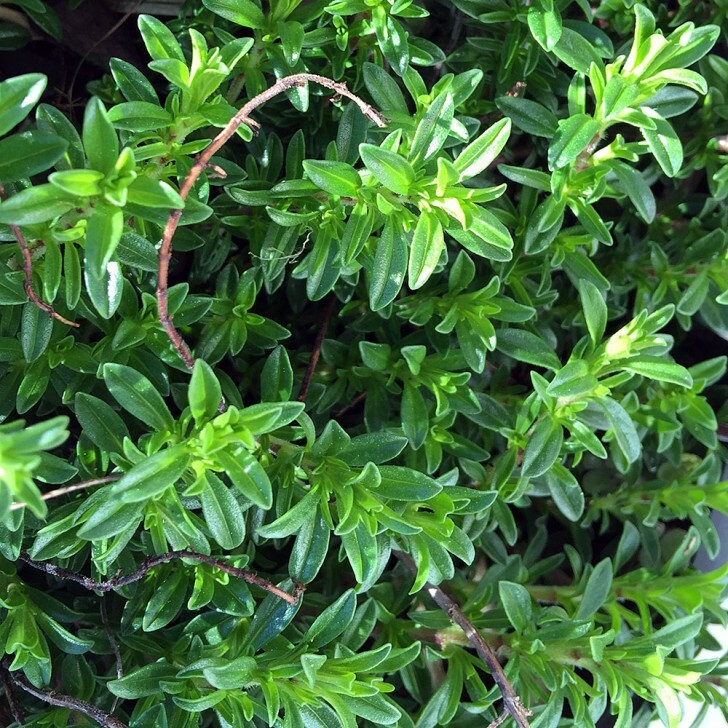 Winter savory – Satureja montana – is a very cold hardy perennial herb that has a distinct green peppery flavour – somewhat like thyme but more pine tinged. It is one of those flavours that people like or dislike and tend to have a polar opinion of. It grows well all year in a mild climate but has a short break in late summer till mid winter when it tends to defoliate and grow very slowly if at all. It can appear as though it has died sometimes… but it always comes back! It is an ideal taste combination with ‘hearty’ vegetable and meat dishes and especially cooked beans in both fresh cut green and dried form. This can be either cooked or sprinkled on fresh at serving time. It also though goes very well with fresh tomato or in a general salad mix with other leafy greens. It grows easily from seed and from cuttings in spring when in full growth. Just keep snipping bits off and stick them into the ground around your main plant to keep available. Mine have only really had problems during extreme heat waves. They tend to grow better in the cooler periods and will grow OK in half shade or part shade during the day. Because it is a very flat growing herb plant – rarely growing higher than about 75mm or 3 inches – it is good to keep it well weeded and clear around the growing space or grow it in a deep pot which allows for plenty of space for the roots to develop. It grows especially well if looked after like this and then fed regularly when in full growth with a seaweed and light manure ‘tea’. 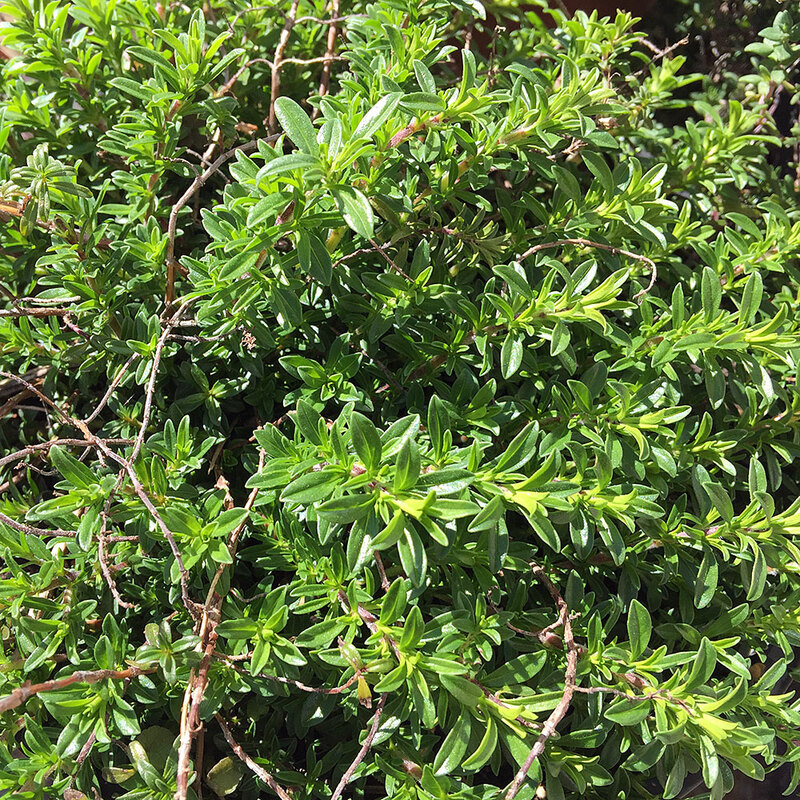 There is another closely related species called Summer Savory – Satureja hortensis – which is a long lived annual species that grows fast and bushy from seed in spring and summer like a thyme or a small leaved basil. It does not have the pine flavour and is more like a taste cross between origano, majoram, thyme and basil and is a very useful underrated herb.